Going to Sintra? Spend half a day in a hidden enchanting park with impressive architecture, underground tunnels, greenish ponds and cork oaks. Why to go? 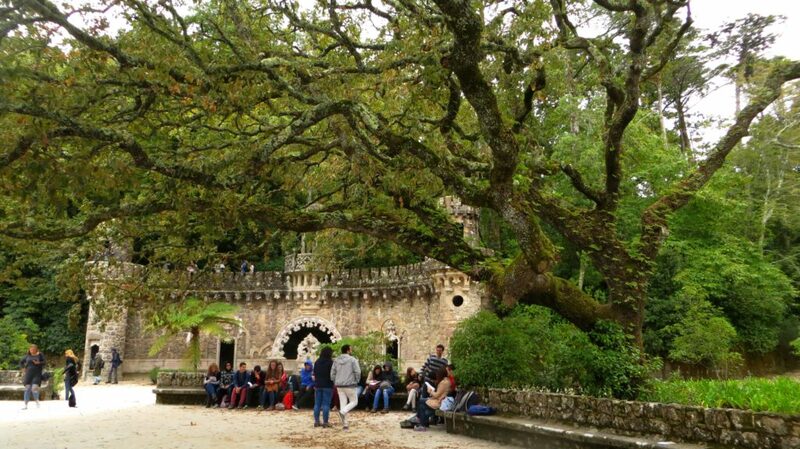 Most of the tourists visiting Sintra, a popular one-day trip destination (but better visit Sintra in two days, not just one) 50 minutes from Lisbon, are heading directly to the colourful Palácio Nacional da Pena or Mourish castle on top of the Sintra hills. 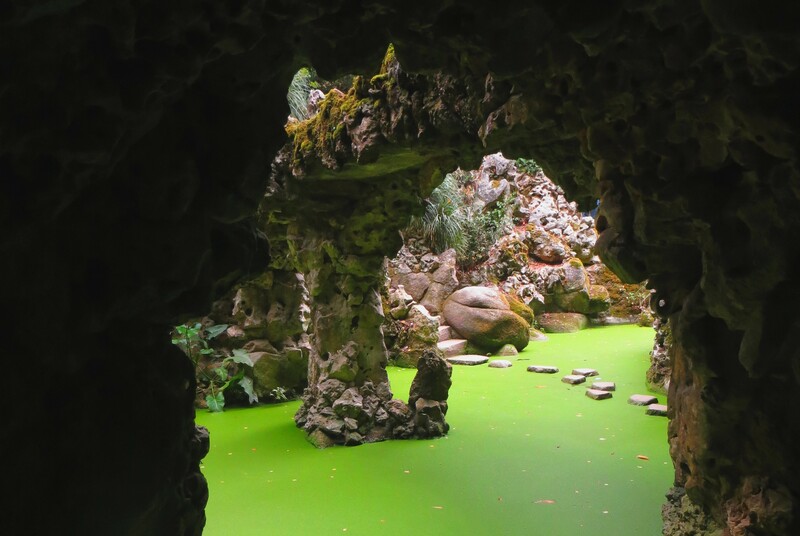 But if you really want to see something unusual I suggest you also save two or three hours for a magical world of Quinta da Regaleira – a 20th century amazingly designed estate with romantic forest park. With its breathtaking architectural masterpieces and unusually built landscape, this place is one of the most impressive ones in Sintra! What to see there? 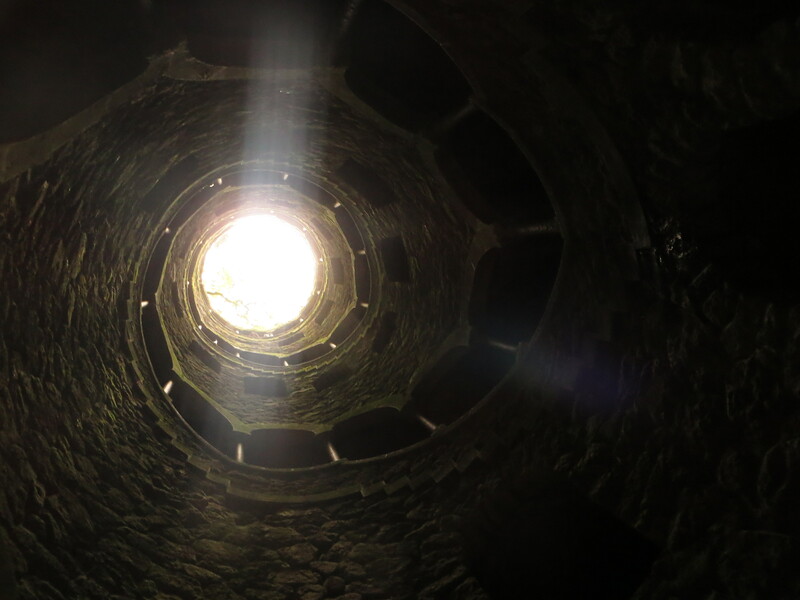 Well, definitely don’t miss one of the main attractions of the park – a circular stairway of the Initiation well (there are actually two wells, you can access both, but only one has been completely finished), which will lead you deep into the ground. 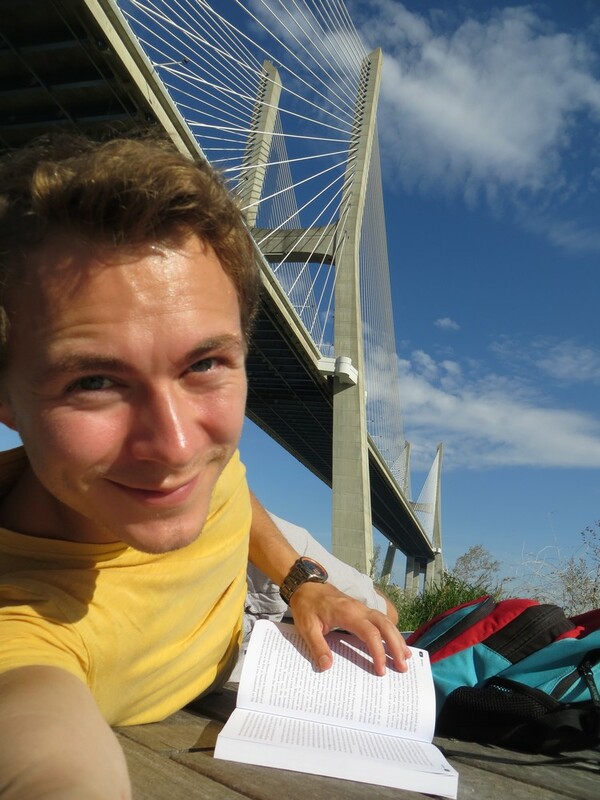 From there, you can take one of the underground tunnels and follow them to the Portal dos Guardiães, a place with very nice terrace and view. And spend some time at the amazingly green Waterfall Lake and the caves around! Very nice is also the little chapel near the estate.